Few things in life feel as good as spending a day at the beach; but you might have to pay for that pleasure later – with sun damage. I believe that we can heal ourselves from the inside-out using food, and this is especially true when it comes to combating the effects of UV rays. No, I don’t think broccoli takes the place of sunscreen, but these super foods will definitely help protect your skin. The amount of antioxidants in your blood actually decreases when your skin is exposed to sunlight. But sunlight isn’t bad; in fact it’s vital for producing Vitamin D naturally! Even so, you’ll want to pump up your antioxidant intake so you can get the best of both worlds. With that in mind, take these foods with you to your next beach party. Salad with mandarin orange slices, Pomegranates and Walnuts – While the Omega-3 fatty acids in Walnuts will keep your skin hydrated and ready for repair, pomegranate seeds will work to protect your skin cells from UVB damage. The vitamin C in mandarin oranges is also critical to maintaining healthy, youthful skin, especially when exposed to UV light. Cherries are a terrific source of the antioxidant melatonin, which protects the skin against damage caused by ultraviolet light. It also helps your skin repair itself after getting sunburnt! Who doesn’t love a bowl of cherries at a picnic? Throw mushrooms on the grill – crimini mushrooms! These kabob-ready mushrooms have some of the highest selenium contents found in food (Brazil nuts may beat them out, but with far more calories). They’re also packed with B-Vitamins, which your body needs to create new skin cells. Green tea – don’t worry, you can have it iced! Green tea has an antioxidant that actually fights inflammation in the skin, neutralizes free radicals, and prevents wrinkles. For an extra lazy day at the beach, just bring some green tea-bags and a gallon jug of water and make sun-tea. No stovetop required. But you might need some ice. Now go scrunch those toes in the sand! Ome-gawsh! Omega-3s are Great for Your Skin! Last time, we talked about preventing skin breakouts with brushing and exfoliation. But there’s a strong connection between your diet and your skin health, too! Red, irritated skin is caused by inflammation. Some foods can cause inflammation, such as those with lots of saturated fat or trans-fat (so try to limit your exposure to those). Luckily, there are also foods that can actively reduce skin redness and promote overall skin health. Omega-3 fatty acids are some of the most important nutrients for fighting inflammation. But there’s just one problem: while Omega-3s are for good your overall health and can enrich your skin, your body can’t synthesize them by itself! You need to get them by eating foods that are densely packed with these essential fatty acids. Some of the highest Omega-3 foods are fish: herring, sardines, mackerel, salmon, and halibut. Luckily, you can take fish-oil capsules, which are much more economical and convenient than starting a tab at your local fish market. You can also fill up on eggs, turkey, flax seeds, black raspberries, walnuts, canola, and lingonberries – all of which are chock-full of Omega-3s. Focusing on getting more of these essential nutrients in your body will pay huge dividends for your skin. 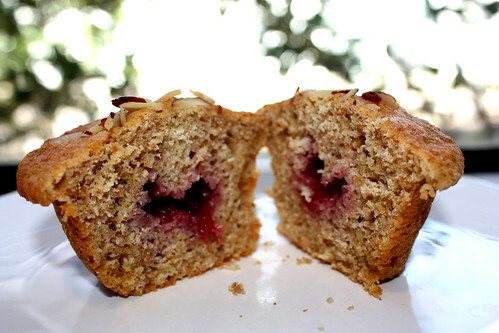 Besides, have you ever had almond lingonberry muffins? Pure heaven. You already know how important it is to brush your teeth every day (at least, I sincerely hope you already know this). But maybe you didn’t know that brushing is also a great way to keep your skin naturally healthy and vibrant. Most of the time, skin breakouts are due to either your skin glands producing a little extra oil, some naturally-occurring bacteria getting a little out of control, or the accumulation of dead skin cells. Luckily, gentle brushing for just a few minutes a day can help counteract all of these problems. 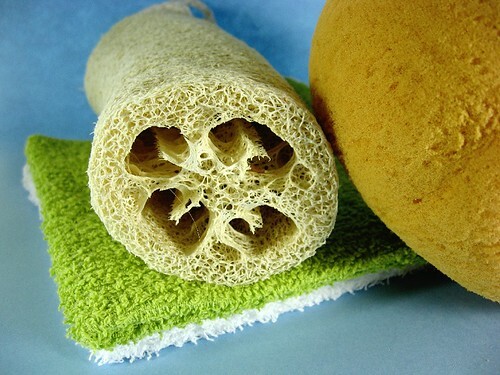 Using a long-handled natural bristle brush (which you can find for around $10 online) or a natural loofah sponge, start at your feet using small circles. Work your way up your legs, across your chest, and over your arms, neck, and back. Be sure to avoid sensitive areas like your breasts and face, and don’t brush too hard – a little goes a long way. This kind of gentle brushing can improve blood and lymph flow, remove dead skin cells, and help keep your skin looking youthful. And it doesn’t take a huge time commitment – you can probably cover your whole body in about two minutes. So consider adding a quick body-brushing regiment to your day, right after brushing your teeth. Just be sure to use two different brushes. Next time: Learn how Omega-3s can save your skin!